Note: For information on subsidized fees, see bottom of page. Explore Compassion Cultivation Training (CCT) – A Special Weekend Immersion guided by two senior-level Stanford CCT instructors, Monica Hanson and Robert Cusick. The CCT immersion experience is unique both in its deep focus and the pristine contemplative space in which it is being offered, surrounded by the natural beauty of Vajrapani Institute. CCT was developed by Thupten Jinpa, PhD — English language translator for his Holiness the Dalai Lama for over 30 years — in collaboration with a team of psychologists, scientists and contemplative scholars and practitioners from Stanford University. Finding ease in challenging relationships and courage in difficult circumstances. This ‘immersion’ will include talks, compassion meditations, small and large group discussions, skills training, self-reflection, and experiential exercises. You will also learn about the research and science-backed benefits of training compassion, and skills for sharing these practices with others. Selected readings will be included from Thupten Jinpa’s book based on this training: A Fearless Heart: How the Courage to Be Compassionate Can Transform Our Lives. Teachings are appropriate for health care professionals as well as the general public. Health care professionals will be able to incorporate the tools and practices offered in this program in ways beneficial to clients or patients. A Fearless Heart: How the Courage to Be Compassionate Can Transform Our Lives, Thubten Jinpa. 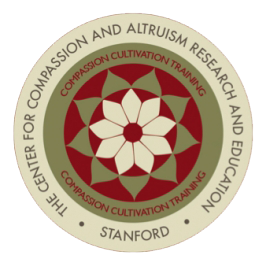 The Compassion Cultivation Training (CCT) protocol is a course developed in the Center for Compassion & Altruism Research and Education at Stanford University, School of Medicine. Below is a talk given by Dr. Thupten Jinpa at the Science of Compassion: Origins, Measures, and Interventions, that took place July 19 – 22, 2012 in Telluride Colorado. Dr. Jinpa is principal English translator for His Holiness the Dalai Lama, co-founder of The Center for Compassion and Altruism Research and Education at Stanford University, and main author of the Compassion Cultivation Training program. For more information see the Stanford CCT website. This workshop is eligible for 12 hours of Continuing Education credits. LCSWs, MFTs, and other mental health professionals from states other than California need to check with their state licensing board as to whether or not they accept programs offered by approved sponsors of CE by the American Psychological Association. For questions about receiving your Certificate of Attendance, contact spc@vajrapani.org. For questions about CE, visit www.spiritualcompetency.com or contact David Lukoff, PhD at CE@spiritualcompetency.com. If you are interested in serving as Course Liaison for this retreat, please apply here. The base fees listed above reflect the true cost of hosting visitors and are higher as a result. If you are financially able, we encourage you to please pay these fees. That said, we also offer subsidized fees designed to allow as many people as possible to attend. These fees are supported by generous contributions to Vajrapani Institute. You can access those fees by using a discount code that will be provided to you at registration checkout. The accommodations are the same for both options. We want to make retreat available to everyone. With this in mind, we will gladly work out a payment plan with you.If you need even more assistance, we offer several scholarships. Please note that the scholarship deadline is one month before retreat begins. Traditionally, spiritual teachings are considered priceless; remuneration of our teachers is traditionally not included in the fee information detailed on this page. For this retreat though, a supplemental fee for the teachers has been added. Still, we invite you to consider bringing a cash donation with you to express your gratitude for the teachings on the last day of the retreat. This is supplemented by an additional donation from Vajrapani Institute. Please note that we don’t offer a credit card option for teacher’s fees. Monica Hanson is a Senior Teacher at the Center for Compassion and Altruism Research and Education (CCARE), Stanford University. She has taught the Compassion Cultivation Training (CCT) program for the public at Stanford School of Medicine since 2011 and with Stanford students since 2010. Monica is also a member of the leadership team at CCARE that co-developed and launched the Compassion Cultivation Teacher Training Certification program in 2011. 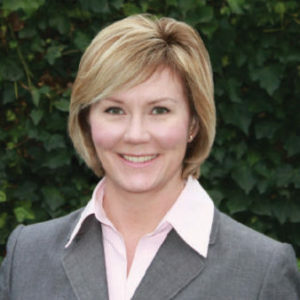 In 2013, Monica was the lead teacher in a research study for Stanford Medicine Neuroscience and Pain Lab, examining the effects of compassion training, chronic pain and the impact on significant others. Monica lives in the San Francisco Bay Area and her family, friends, mentors, colleagues, participants in her courses, and those that cannot participate are the inspiration for her practice. Trained at Stanford University in the Center for Compassion and Altruism Research and Education (CCARE). He is a Certified Stanford Compassion Cultivation Training instructor and teaches CCT at Stanford University School of Medicine and in multiple other venues. He studied in the Soto Zen tradition while in residence at Tassajara Zen Mountain Center, in the Ridhwan School’s Diamond approach with A. H. Almaas (Hameed Ali), and at Spirit Rock Meditation Center with Jack Kornfield, Gil Fronsdal and others. As a long time meditator and former monk, Robert ordained in Burma under the renowned meditation master, Venerable Pa Auk Sayadaw, and studied with him from 2003 – 2012. He currently provides individual bereavement support for adults and children and co-leads men’s grief groups at Kara in Palo Alto where he coordinates and directs training for their Adult, Youth & Family, and Community Outreach programs. 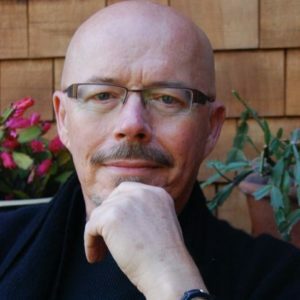 Robert sits on the Board of Directors of the Sati Center for Buddhist Studies. His practice is focused on recognizing and cultivating compassion through the application of mindfulness. You can contact him at: info@thecompassiontrain.com.